Welcome to OWW Radio! Each week hosts David (@dlb19338) and Alex (@AlexGoff84) will provide perspective to the WWE, TNA, and everything else making news in the world of professional wrestling. A new episode will be posted each week. This week David is joined by two special guests, Bobby Sharp and Kat Von Heez, a real-life couple and two of the brightest stars on the Canadian wrestling scene. 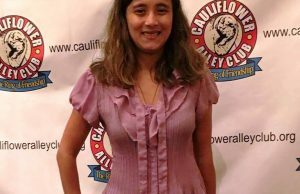 Bobby and Kat talk about the Cauliflower Alley Club, learning to succeed in the ring, their plans for the future, and how they make their relationship work in this tough business.